Sites like Polyvore: The world of all fashion instructors and style creators faced a major set back when the Polyvore site came to an abrupt halt. The site was best loved by people who either were clueless about how to mix and match outfits or were best at helping people put together inspirational outfits. The site had a huge fan following and fans were not happy when this debacle happened. The site was a home to everyone ranging from brands to fashion bloggers and followers alike. You could create beautiful outfits and it helped clear the mind. What are the Best Polyvore Alternatives? The site that originally was created in 2007 by Pasha Sadri as an inspiration for mood boards is no more existing and the void is felt awfully. Polyvore closed down after it was taken over by SSense which is a Canadian Retailer. After the takeover, from April 2018, the Polyvore operations were closed down. SSENSE allowed the Polyvore users to download their content till May 15th, 2018 by visiting http://account-update.polyvore.com and getting the instructions from here. Other sites like Fashmate, ChicVore, ShopLook have promised the Polyfam that they will recover the data for them so it doesn’t get lost in the dark. It is thus advisable to try your luck with these sites too. Fashmate has been the best so far on their promise. Although Polyvore might be very difficult to replace or copy, certain other sites and apps offer similar services and can help you get over this huge breakup. 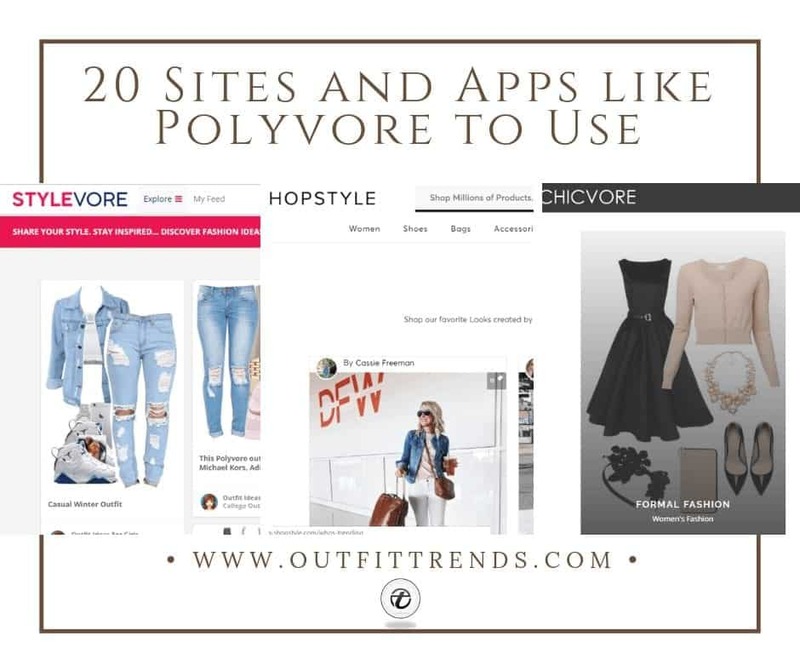 We have gathered 20 such sites and apps like Polyvore to use that are a great alternative to Polyvore for your assistance so that you can benefit from them. There were two main sites to which #polyfam shifted mostly after Polyvore closed down and one of these is ShopLook which is a good alternative of Polyvore. They also mention on their website that they are the biggest platform for all the #polyfam and want to attract them with their similar features. It has now also provided the facility to get your old sets back from Polyvore as promised. The users have to sign up and make their account for it to work. The interface is easy to use however it is not the best because things need to be fixed and improved for it to really work. ShopLook gives you the facility of easily making different looks and styles with the help of multiple items and like Polyvore, you can even start taking part in the competitions and contests for styling on regular basis and there is some kind of prize involved (trophies too) so you can earn while styling. The option of adding your own images is also present (on a limited scale) so you can add something of your choice to the mix through the extension clipper. You can also share your sets on blogs and Pinterest although the quality of sets and editing feature are still not the same as of Polyvore. You get to filter out outfits on basis of different categories like price range, color etc and can easily design new outfits, however, you are somewhat restricted to use the products the site offer and the item you choose could be an old or new random item. And for old times sakes, we’re sure you would love these 50 Best Polyvore Outfits with Adidas Superstars for Girls. This cool site is available in app form for Apple Users only for now and the Andriod Users are still waiting for their turn. Again, similar to Polyvore a site URSTYLE was created to make the void manageable. It too provides the option of creating mood boards and style sets easily and has improved a lot since its inception and thus is a great alternative of Polyvore. You can get a feel of the site without making an account to sign up and get a go at styling immediately. The great thing about it is that it gives you better options for making sets. They offer styling for men, women, and kids along with the options of decor and additional stuff. However, one thing that can put you off is the model is often wearing the clothes and this can cause a major annoyance. You can even add texts or other frames and embellishments. There are filters for various stuff like price, brands and popularity or date of arrival. Adding and deleting stuff is pretty easy and you can also crop the images of different products according to your needs. The site is very attractive and easy to navigate. You can even socialize with the people through messages and by liking their sets. Overall, it is a great place for Polyvore fans. trendMe is also a much talked about and appreciated site that now offers an app too for its users. Much like Polyvore, you can also create sets and get to communicate with other fashionistas. The trendMe site offers you a wide variety of options in terms of dresses, jewelry, decoration items, makeup, accessories etc, however, it is not aesthetically pleasing due to the fact that it uses out-dated images for these items that can reduce the quality of the mood board or set created. With trendMe, you have the liberty of uploading any item from anywhere without any restrictions for creating cool independent looks. You can easily share your looks with the share-friendly widgets. ChicVore is the latest dig on creating something identical to Polyvore and it is restricted to invite only, meaning you have to sign up with your email and then you will end up with an invitation which is a slight turn off. ChicVore is supposed to be the next big thing in the post-Polyvore world and is keen on letting the fashion artists and lovers expand on their creativity of letting the innovative ideas flow for the greater good. The idea behind this platform is to focus more on the creativity of the users rather than focusing on a shop or store based ideology for just selling stuff. The founders of ChicVore are also trying to help former Polyvore users bring back their data from the Polyvore site. The best thing about closetSpace is that it is super easy to approach without much ado. It helps you in managing and choosing from a variety of outfits whether you have a limited range of items or a wide variety of garments on the basis of various factors like weather, temperature, and occasion. It can really help you if you are travelling with limited space and makes more options available to you according to your particular needs. Its app is also available for easy use. If you are a solid follower of how it will look in real life kind of thing, look no further than LookBook site. Look Book helps you in getting to know more about how outfits and looks can be created with certain pieces and you can easily keep up with the latest trends in the fashion world. It also helps you in getting to the items that are being showcased so you can easily follow the same look. Since this site is a new player in terms of providing a platform for fashion designing and styling internationally, it can be difficult to understand the language of this site. This site is more focused on the shopping spectrum than the styling spectrum but nevertheless, the making of sets is pretty good and you get various filters for choosing the overall look. It suggests you outfits that are relevant to your unique interests and offers a good variety of products to choose from. You also get to know the total cost of a certain complete set easily which makes various looks budget friendly. Fashmate has set itself as a community-based platform for creating sets and outfits and as it says on their website, to inspire someone. Signing up is pretty easy and you can do it with the help of your facebook account as well. You can easily start creating a set and they have various good options for both men and women to select from. They now have a clipper tool so you can get items from other sites without any issues and let the creative juices flowing. Another ideal thing is that you can choose to add texts, borders, colors, patterns, and other stuff to make your set more awesome looking. You can also take part in contests and interact with other people through community group discussions and by sending them private messages. This app has been women’s answer to all sort of wardrobe and clothes picking difficulties that might be faced every day. It is basically your digital closer where you get to upload the picture of all the pieces that you own and it helps you organize them according to how you will wear when and what item and thus you get to know which items are in your use and which items are redundant. This way you get to pre-plan your outfits beforehand. It also helps you in packing smartly so that you can manage with limited clothing while traveling. You can also create Polyvore type collages and share them with others through email. Another great alternative to Polyvore is Stylevore that gives you the option of making your own collection and showcasing fashion pieces and news. This site gives you the option of pricing your collection and adding items in it from such categories as footwear, beauty, clothing etc. Though this app is limited to certain devices yet it is a viable alternative of Polyvore. You can easily add your own items or select the ones from the app to create great looks. This is a simple outfit making application with no image manipulation options. You can enter into competitions and contests for prizes and this makes it a very interesting application. You can also unite with a friend and make sets together. And here are the Top 5 sites to Create Outfits Online. Lyst helps you track down various items of clothing so you can manage to wear fashionable outfits all the time. Chictopia is an ideal site for all the fashion lovers and enthusiasts. The main purpose of this site has always been to give real people the chance to showcase their talent in terms of fashion and styling. It gives you a feel of what will look good on you and how you can style your outfits. Chictopia aims to influence its users’ fashion sense and the latest trends by encouraging fashion blogging without any boundaries. You can enter your information to the site and get connected with people of similar build and interests to get information about various outfits and styles. For some of us, the chase doesn’t end towards only the look but we also want to know where we can get the look from. One of the main aspects of Polyvore was also to help people get to know where they could buy certain items from. Wheretoget does that brilliantly for you. With the help of its community, you can easily get to know what items can be found where. You can upload the picture of the desired item(s) and get to know where you can get your hands on it easily with the help of the online community. Stylicious is a maid/personal stylist (whatever you might prefer to regard it as) for your ease and to sort out your wardrobe difficulties. This app helps you in outfit selection when you upload all your garments into it depending on color and the weather they are suitable for. It helps you keep a check on all your options in your wardrobe as well as online by ticking the brands you might adore. This way you get to know about new arrivals and the best sales options for you. You also get fashion inspirations through the stylists and fashion lovers’ mood board on the app. To cut through the clutter, Outfits by Caldwell doesn’t only helps you in deciding what to wear for a particular day but also informs you what new items you might need and what new purchases will go well with what you might own currently. It makes collages of items you own for a perfect outfit for the week. Also have a look at these 5 Best Apps To Plan Your Wardrobe. Bloglovin helps you by exploring various looks from indie fashion bloggers so you can get some fresh fashion inspiration. LiketoKnow has been a great place for the young and fresh fashion bloggers to visualize creative styling and fashion outfits and to link the users as to how they can get their hands on any piece they love. Many from the #Polyfam resorted to uploading their mood boards and sets to Pinterest so for those of you looking to explore some looks from stunning mood boards and looks can definitely try Pinterest. 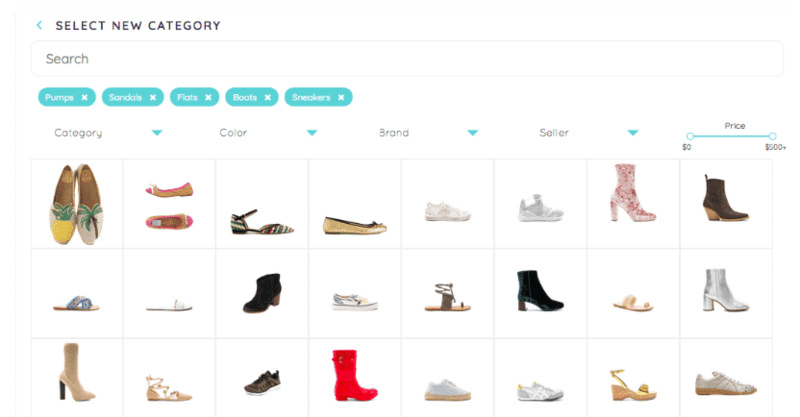 ShopStyle is a fairly decent site and application for assistance in styling outfits. I found an alternate portal to Polyvore called Fashmates. They use the same editor once we used in Polyvore. I’m personally used they are the best alternative. Check out if you want some cool creation of outfits.